Goligorsky M, Iijima K, Krivenko Y, et al. : Role of mesangial cells in macula densa-to-afferent arteriole information transfer. Clin Exp Pharm Physiol 1997, 24:527-531. Osswald H, Hermes H, Nabakowski G: Role of adenosine in signal transmission of TGF. KidneyInt 1982, 22(Suppl. 12):S136-S142. Miller W, Thomas R, Berne R, Rubio R: Adenosine production in the ischemic kidney. Circ Res 1978, 43(3):390-397. Kon V, et al. : Glomerular actions of endothelin in vivo. J Clin Invest 1989, 83:1762-1767. Gellai M, Jugus M, Fletcher T, et al. : Reversal of postischemic acute renal failure with a selective endothelin A receptor antagonist in the rat. J Clin Invest 1994, 93:900-906. Fogo, et al. : Endothelin receptor antagonism is protective in vivo in acute cyclosporine toxicity. Kidney Int 1992, 42:770-774. Conger J: NO in acute renal failure. In: Nitric Oxide and the Kidney. Edited by Goligorsky M, Gross S. New York:Chapman and Hall, 1997. Gross S: Nitric oxide synthases and their cofactors. In: Nitric Oxide and the Kidney. Edited by Goligorsky M, Gross S. New York:Chapman and Hall, 1997. Reyes A, Karl I, Klahr S: Role of arginine in health and in renal disease. Am J Physiol 1994, 267:F331-F346. Kim Y-M, Tseng E, Billiar TR: Role of NO and nitrogen intermediates in regulation of cell functions. In: Nitric Oxide and the Kidney. Edited by Goligorsky M, Gross S. New York:Chapman and Hall, 1997. Lieberthal W:Renal ischemia and reperfusion impair endothelium-dependent vascular relaxation. Am J Physiol 1989, 256:F894-F900. Yu L, Gengaro P, Niederberger M, et al. : Nitric oxide: a mediator in rat tubular hypoxia/reoxygenation injury. Proc Natl Acad Sci USA 1994, 91:1691-1695. Noiri E, Peresleni T, Miller F, Goligorsky MS: In vivo targeting of iNOS with oligodeoxynucleotides protects rat kidney against ischemia. J Clin Invest1996, 97:2377-2383. 15. Agmon Y, et al. : Nitric oxide and prostanoids protect the renal outer medulla from radiocontrast toxicity in the rat. J Clin Invest 1994, 94:1069-1075. 16. Agmon Y, Brezis M: NO and the medullary circulation. 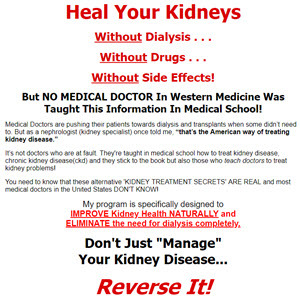 In: Nitric Oxide and the Kidney. Edited by Goligorsky M, Gross S. New York:Chapman and Hall, 1997. 17. Goligorsky MS: Cell biology of signal transduction. In: Hormones, autacoids, and the kidney. Edited by Goldfarb S, Ziyadeh F. New York:Churchill Livingstone, 1991. 18. Edelstein C, Schrier RW: The role of calcium in cell injury. In: Acute Renal Failure: New Concepts and Therapeutic Strategies. Edited by Goligorsky MS, Stein JH. New York:Churchill Livingstone, 1995. 19. Kribben A, Wetzels J, Wieder E, et al. :Evidence for a role of cytosolic free calcium in hypoxia-induced proximal tubule injury. J Clin Invest 1994, 93:1922. 20. Burke T, Arnold P, Gordon J, Schrier RW: Protective effect of intrarenal calcium channel blockers before or after renal ischemia. J Clin Invest 1984, 74:1830. 21. Kashgarian M: Stress proteins induced by injury to epithelial cells. In: Acute Renal Failure: New Concepts and therapeutic strategies. Edited by Goligorsky MS, Stein JH. New York:Churchill Livingstone, 1995. 23. Ueda N, Walker P, Shah SV: Oxidant stress in acute renal failure. In: Acute Renal Failure: New Concepts and Therapeutic Strategies. Edited by Goligorsky MS, Stein JH. New York:Churchill Livingstone, 1995. 24. Kelly KJ, et al. : Antibody to anyi-cellular adhesion molecule-1 protects the kidney against ischemic injury. Proc Natl Acad Sci USA 1994, 91:812-816. 25. Kroemer G, Petit P, Zamzami N, et al. : The biochemistry of programmed cell death. FASEB J 1995, 9:1277-1287.